For their fourth album (and third studio release within 17 months), Saxon unabashedly salute the working class blue collar fans of heavy metal. Denim And Leather is simple metal for simple folks, hugely popular within the intended fan base but sorely lacking in the innovation, evolution, and stretch departments. There is no bad material on Denim And Leather. Saxon are true to their mission, and lay down the meat and potatoes music with increasing professionalism and well-oiled precision. The problem is the band's extremely rudimentary song-writing, a dead-end sound that offers no avenues for growth. The lyrics are as basic as they come, celebrating independence, freedom, and nights out, all aimed at young men with nothing to look forward to except Saturday night beers. 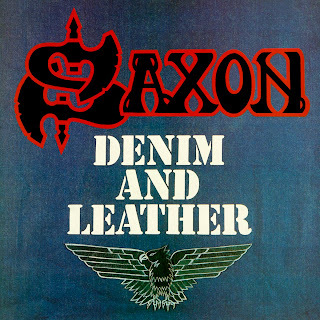 The song structures mirror the elementary subject matter, most tunes fully predictable from the first 15 seconds, Saxon rarely ever springing any surprises in terms of interesting variations, bridges, or solos. On most of the tracks, once the initial verse / chorus structure and primary melody are established, the formula is to repeat incessantly for about 4 minutes and then end. 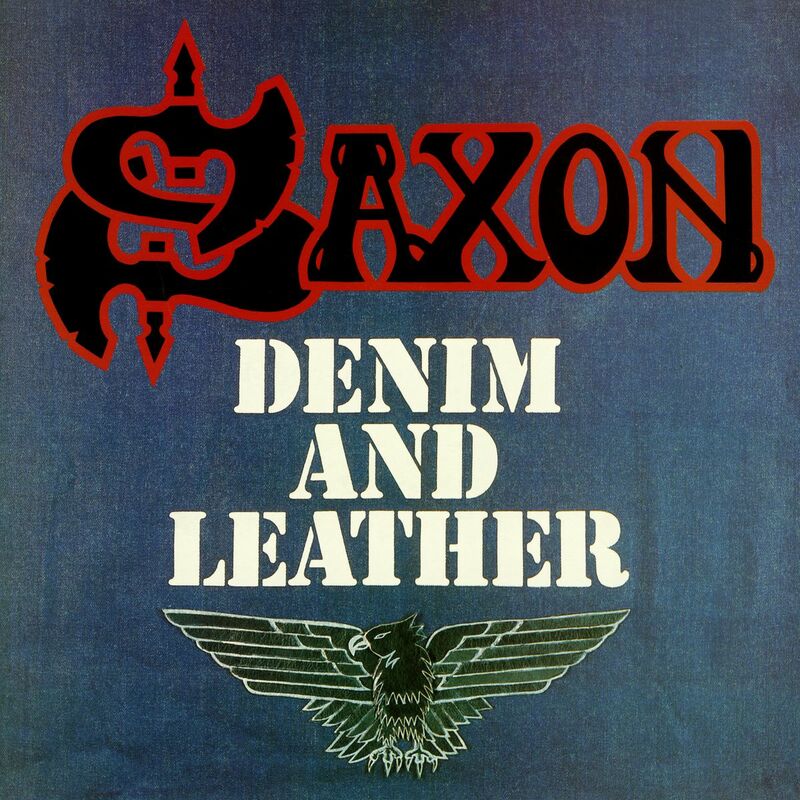 No track suffers more from the lack of ambition than And The Bands Played On, Saxon suddenly finding a bouncy riff and a catchy melody, with Biff Byford delivering one of his most interesting vocals. After the foundational theme is established, the track cries out for an injection of inspiration to truly take-off. Alas, like on most other selections, the foundation is the song, the band is only capable of more repetition, the promise dies and the song concludes at under three minutes. At least the two tracks bookending the album offer more. Opener Princess Of The Night demonstrates a bit of danger, the celebration of the steam engine suitably rumbling with enthusiasm, and for a change Saxon finding some breaks and introducing a relatively lively solo. And the title track sums up the album (and the band), Denim And Leather the anthem to end all anthems, a glorification of metal fandom at the grass roots, Pete Gills' drums and Steve Dawson's bass creating a booming beat befitting the universal salute, the lack of subtlety in the track's intent predicting metal's steadfastness through the ages. But for the other seven tracks, Denim And Leather hangs in the closet, basic metal as familiar and expected as a mundane pair of everyday jeans, easy to overlook and no worse for it.